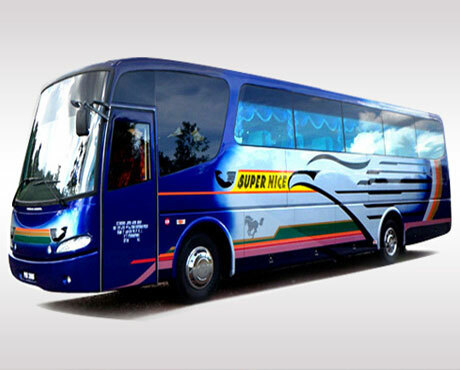 Since humble beginnings in the 1980s, Super Nice has grown into one of largest, fastest and popular long distance bus operators around. Today, the company owns more than 30 units of first class 18 seats and 27 seats Super VIP express buses and a well trained and experienced workforce, capable of providing quality travel experience. Their buses operate in all major cities in Peninsular Malaysia, growing from a mere 2 coaches back in the 70s. All their buses are fully air-conditioned with cushion seats and tinted windows with curtains to provide a cool and relaxing ambiance for their passengers throughout their journey. CatchThatBus offers online bus tickets to many routes covered by Super Nice Express as well as seat availability features. You can book your bus ticket online from our website or via mobile app which can be downloaded for free on Google Play or App Store.